- Algae cleaning ( we clear away those algae, no matter in the water, on the pebble stones & pond. Always maintain the water to be cleared & odourless is very important for a healthy environment to a family. A pond of clear water is also an emphasis for Feng Shui matter. Because Feng Shui can bring prosperous, wealthy, healthy, harmonious to a family. 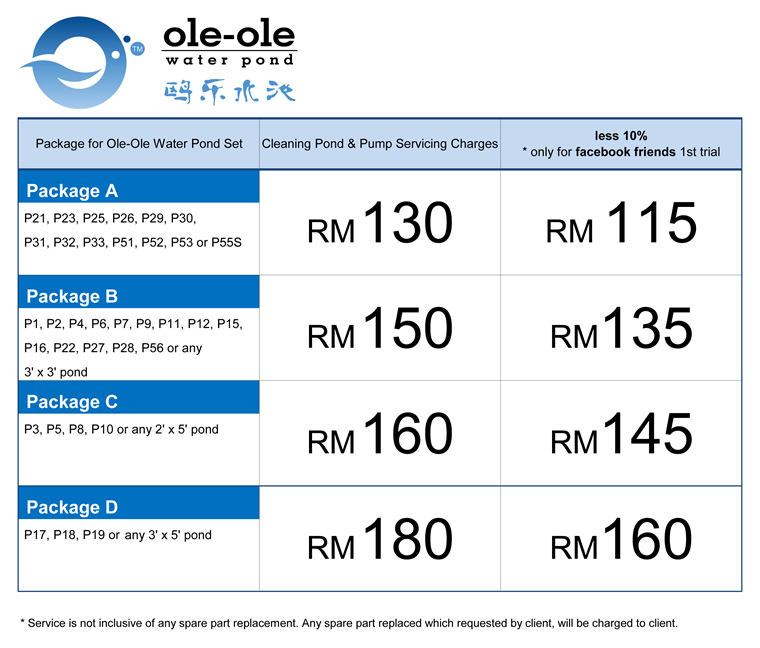 We do hope Ole-Ole Water Pond can bring luck to all our client.